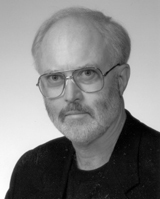 Robert Calder is a professor of English at the University of Saskatchewan, as well as an award-winning author: Willie: The Life of W. Somerset Maugham won the 1989 Governor General's Award for Non-fiction, and A Richer Dust won the 2003 John V. Hicks Manuscript Award for Literary Non-Fiction. Robert Calder lives in Saskatoon. In the middle of June, 1945, Captain Kenneth A. Calder of the Royal Canadian Artillery, returned to Canada after five and a half years of military service in Britain, North Africa, Italy, and the Netherlands. After spending a few days visiting his family, he travelled to Vancouver to be reunited with the wife he had married eight days before leaving for Europe. At the end of an uneasy week, however, she summoned up the courage to tell him that she had been unfaithful to him several times during the war and was now living with another man. Moreover, she had spent all the money he had sent home. The next day, Captain Calder put on his best uniform, sealed the windows and doors of his apartment, turned on the gas, and killed himself. 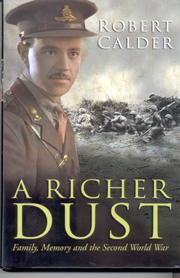 In A Richer Dust, author Robert Calder reconstructs his uncle's life and death using Captain Calder's wartime journal, family documents and correspondence, and military records, as well as interviews with officers and men who served with Calder, with the hundred-year-old sister of his wife's lover, and with his wife's sister. Vividly recreating the horrendous battlefield conditions in Italy and Holland, Robert Calder captures his uncle's wartime experience as, amid bombs and artillery fire, amid seas of mud and endless rain, soldiers kept alive a vision of home and hearth to keep them going. In Ken Calder's case, as in many other instances, that vision proved to be an illusion. A Richer Dust explores the profound effect that the suicide had on Captain Calder's parents, the brother whose alcoholism led to his being institutionalized, and the two boys who grew up idealizing their soldier-uncle. It is a powerful exploration of a case of unrecognized post-traumatic stress and a profoundly moving account of war and its aftermath.